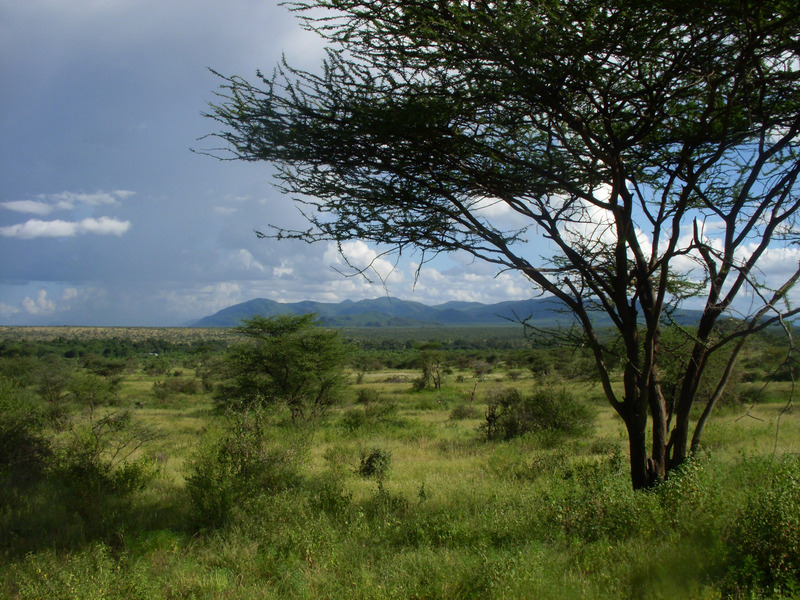 An East African savanna landscape of tree-dotted grassland is shown in this image from Samburu National Reserve in Kenya. The more heavily vegetated area in the middle distance is the corridor of the Ewaso Ngiro River. A new University of Utah study concludes that savanna was the predominant ecosystem during the evolution of human ancestors and their chimp and gorilla relatives in East Africa. Photo Credit: Thure Cerling, University of Utah. University of Utah scientists used chemical isotopes in ancient soil to measure prehistoric tree cover – in effect, shade – and found that grassy, tree-dotted savannas prevailed at most East African sites where human ancestors and their ape relatives evolved during the past 6 million years. 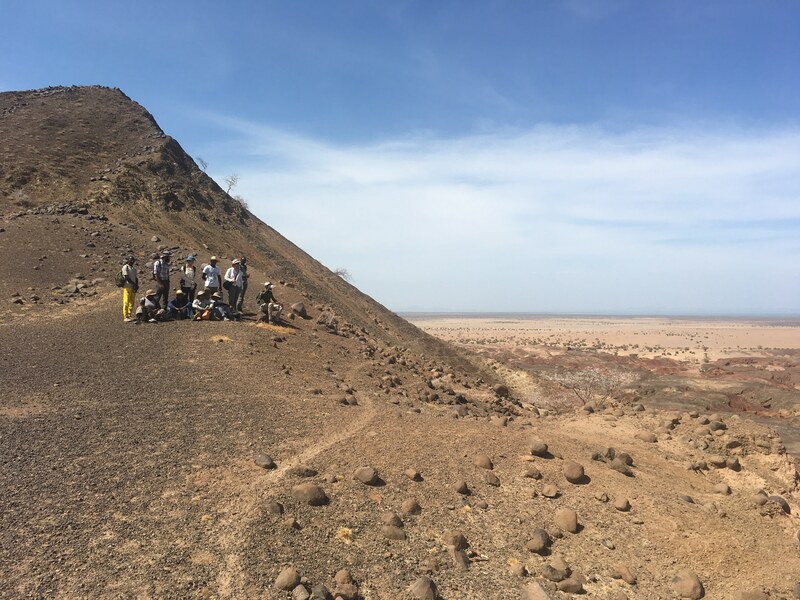 “Wherever we find human ancestors, we find evidence for open habitats similar to savannas – much more open and savanna-like than forested,” adds Cerling, a University of Utah distinguished professor of geology and geophysics, and biology. 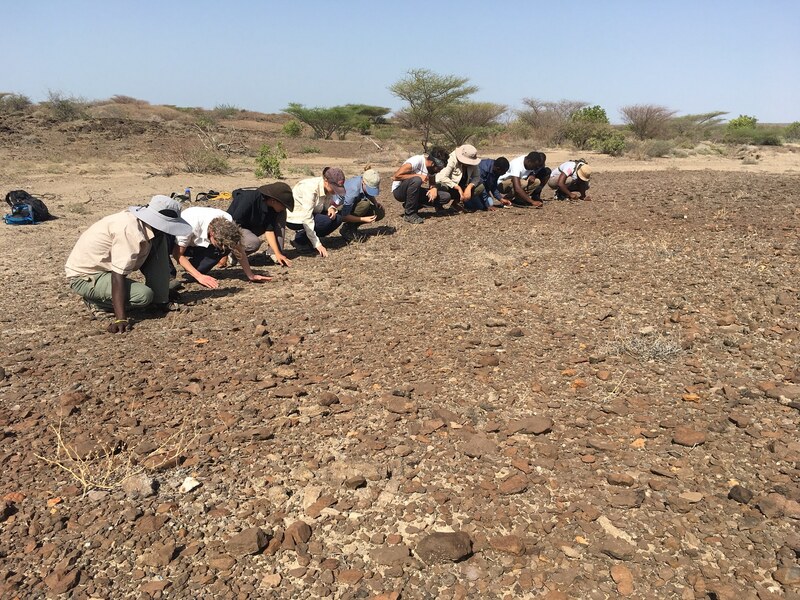 Fossils of early humans and their ancestors and extinct relatives have been found in both wooded and open environments in East Africa. Even 4.3-million-year-old Ardipithecus – which lived in the woods, according to its discoverers – had a small component of tropical grasses in its diet, Cerling says. “The fact it had some means it was going into the savanna, unless it was eating takeout food,” he says. Scientists have spent a century debating the significance of savanna landscape in human evolution, including the development of upright walking, increased brain size and tool use. Part of the problem has been a fuzzy definition of “savanna,” which has been used to describe “virtually everything between completely open grasslands and anything except a dense forest,” Cerling says. He adds the most common definition is a fairly open, grassy environment with a lot of scattered trees – a grassland or wooded grassland. Cerling does not dispute that East African savannas became more expansive within the past 2 million years, or that human ancestors and relatives likely spent time in narrow “gallery forests” along river corridors. But he says the new method shows grasslands and wooded grasslands – in other words, savannas – have prevailed for more than 6 million years in the cradle of humanity, with tree cover less than about 40 percent at most sites. By definition, woodland has more than 40 percent tree cover, and a forest has more than 80 percent tree cover. Cerling says even sparse woody canopy provided hominins with shade, some foods and refuge from predators. 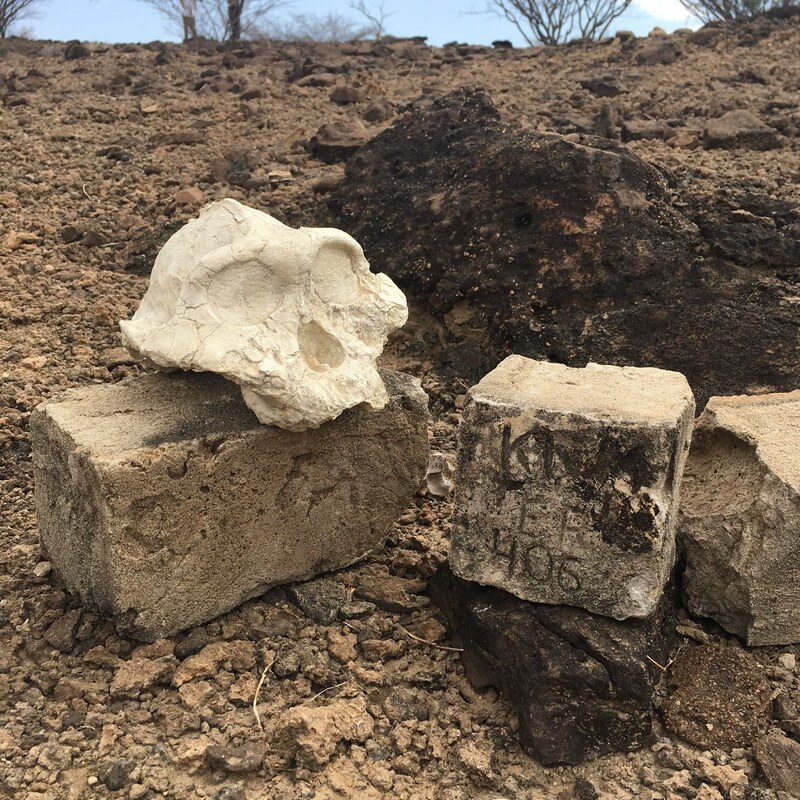 Fossil evidence of hominins – humans, their ancestors and early relatives such as chimps and gorillas – date back to 4.3 million years and possibly 6 million years, Cerling says. The new method was used to look for and find savanna up to 7.4 million years ago. [in East Africa] and savanna conditions have been present only for the past 2 million years,” Cerling says. “This study shows that during the development of bipedalism [about 4 million years ago] open conditions were present,” even predominant. Cerling conducted the study with biologists Samuel Andanje and David Kimutai Korir of the Kenya Wildlife Service; geologist Michael Bird of James Cook University, Cairns, Australia; University of Utah graduate students William Mace of geology, Anthony Macharia of geography and Christopher Remien of mathematics; and former Utah geology graduate students Jonathan Wynn of the University of South Florida, Naomi Levin of Johns Hopkins University and Jay Quade of the University of Arizona. The National Science Foundation and the Leakey Foundation funded the study. The new method was developed by correlating carbon isotope ratios in 3,000 modern soil samples with satellite photos of tree and vegetation cover at 75 tropical sites worldwide – half in Africa – representing everything from closed forest to open grassland. That allowed scientists to determine the percent of tree and woody shrub cover millions of years ago based on carbon isotope ratios in fossil soils known as paleosols. 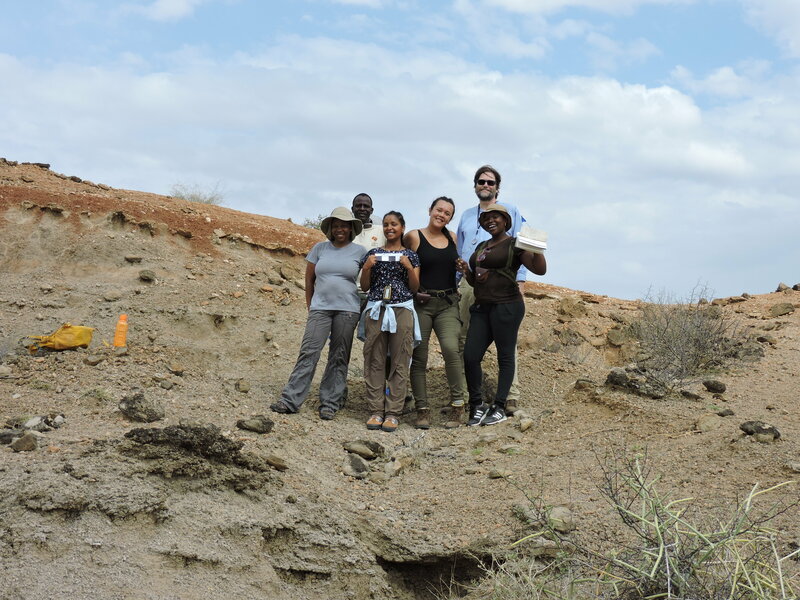 The researchers collected soil samples at Kenyan and Ethiopian sites and used published data on soil samples collected by others during the past decade at the other sites throughout the tropics. Modern soil samples came from national parks and reserves and non-agricultural areas so that carbon isotope rations reflected natural vegetation. The ratio of rare carbon-13 to common carbon-12 in decayed plant material in soils reveals the extent to which the landscape was covered by plants that use what is known as the C3 pathway of photosynthesis versus plants that use C4 photosynthesis. Trees, shrubs, herbs, forbs and cool-season grasses are C3 plants, which include beans and most vegetables. C4 plants are warm-season or tropical grasses that dominate savannas, and plants called sedges. C4 plants have a higher ratio of carbon-13 than C3 plants. The isotope composition of fossil soil gives a measure of the total makeup of the ecosystem in terms of how much canopy versus how much open landscape, Cerling says. So in a forest, even soil from open gaps shows the C3 signature because of non-woody C3 plants growing there, while on a savanna, soil from under a C3 tree will show the C4 signature because of grasses growing under the tree. Cerling and colleagues used the new method to analyze fossil soils and infer plant cover back to 7.4 million years ago, a period that includes when human ancestors and apes split from a common ancestor. Their analysis of 1,300 fossil soil samples from sites at or near where human ancestors and their relatives evolved shows that more than 70 percent of the sites had less than 40 percent woody cover, meaning they were wooded grasslands or grasslands. Less than 1 percent of the samples reflected sites where tree cover exceeded 70 percent. “Therefore, ‘closed’ forests (more than 80 percent woody cover) represent a very small fraction of the environments represented by these paleosols,” the researchers write. “We conclude there have been open savannas all the time for which we have hominin fossils in the environments where the fossils were found during the past 4.3 million years” – the oldest fossils now accepted as human ancestors, Cerling says. 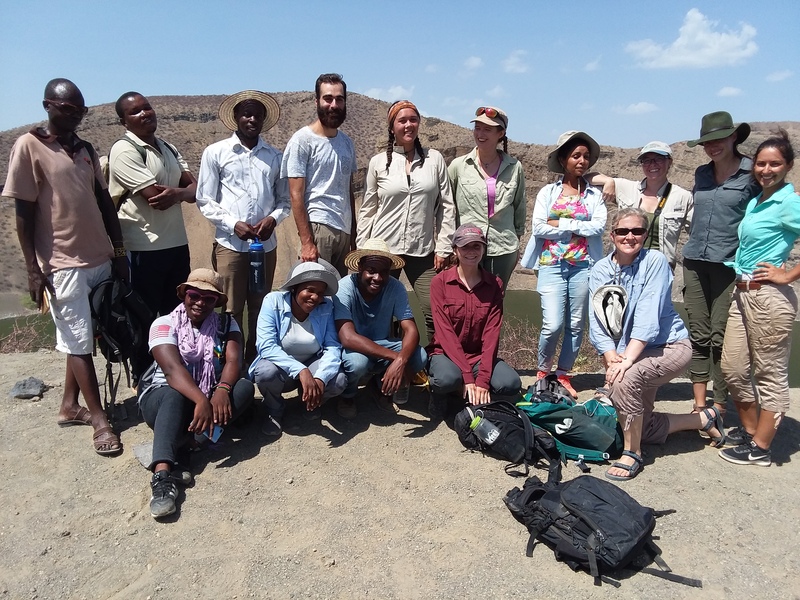 The researchers also created vegetation chronologies of the Awash Valley of Ethiopia and the Omo-Turkana Basin of Ethiopia and Kenya – home to many fossils of human ancestors, including Ardipithecus, Australopithecus, Paranthropus and our own genus, Homo. They found that during the past 7.4 million years, woody cover ranged from 75 percent (closed woodlands) down to 5 percent or less (open grasslands), but significant areas with woody cover below 40 percent (savanna woodlands to savanna grasslands) were consistently present.